Sometime in the spring I picked up this little telephone table at our local Habit for Humanity Store. I think I paid about $10 for it. I wasn’t sure what I would do with it at the time, but I was attracted to it because I thought the spindles were interesting and it was smaller than a lot of telephone tables I’ve seen. I figured I would buy it and then decide what to do with it later. Although I didn’t know what I wanted to do with it exactly, but I did know that was outdated and needed some sort of work. The table ended up sitting in my basement for several months as my summer months weren’t quite as productive in the furniture finishing department as I had hoped. Recently, I started getting into chalk painting furniture and I decided that this was the first piece that I wanted to tackle. What really got me into chalk painting was my discovery of Junk Monkey paint. It is a special chalk paint that is made right here in Western PA (in Ligonier actually). 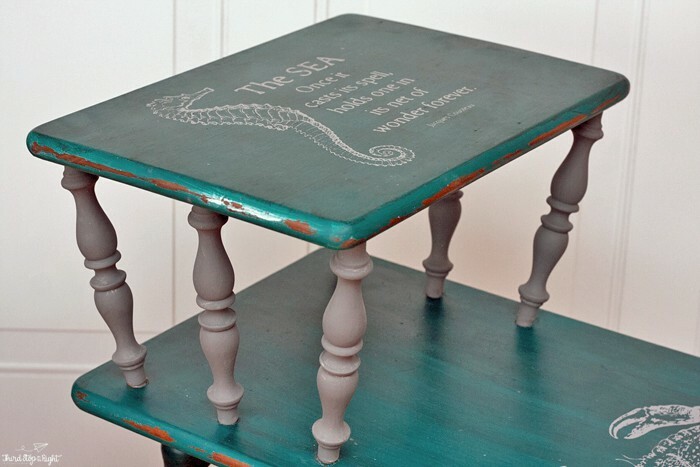 One of the colors, Mermaid Tail, is absolutely beautiful and I knew that it would be perfect on this table. I removed the spindles and the upper table surface before I started any painting. The great thing about Junk Monkey paint is that it doesn’t need any sanding or priming. You can just open the can (after shaking well) and start applying paint. I applied two coats in order to get the nice, even look that I was looking for. I did this on both the legs, bottom table surface, and upper table surface. I will note that probably the best brush to use is a nice, 2″ brush to apply the paint. I then used Junk Monkey’s Paris Grey to paint the spindles. If you are painting spindles, you might also want to use a 1″ foam brush to try and get into some of the crevices. 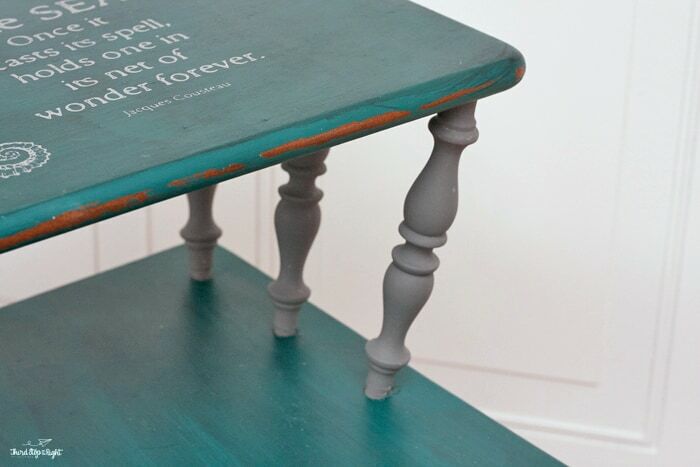 After the coats of paint have dried, I used Junk Monkey’s Black Antiquing Glaze to give the aqua color that aged look. All you have to do to apply it is dab a bit of the glaze on a soft cloth and rub it into the paint. For the streaked effect that I got, I rubbed all of the glaze going in the same direction. You can also rub it onto the spindles, rubbing it into the crevices, in order to get a good antiqued look. You then take a medium grit sanding block and rub the edges of the table to give it that chippy, antiqued look. Now here’s the part that I am most excited about. The table looked good on its own, but I thought that it needed something a little more. I recently signed up with the company, Chalk Couture which makes high-end, silk-backed stencils. These stencils enable you to do a really intricate design that looks hand painted. Plus, they are super easy to use. I first waxed the table using Annie Sloan wax to not only seal the paint but because it is also important for the stencil. 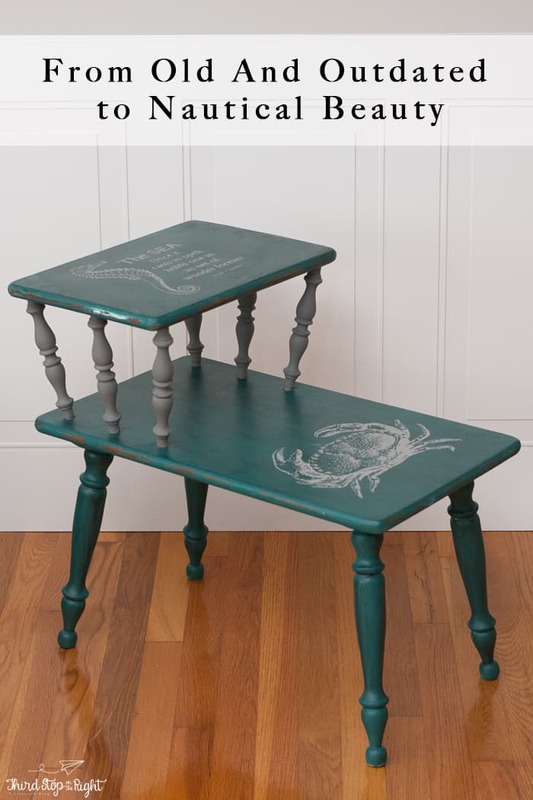 Using the Nautical stencil set, I placed the saying as well as the image of the crab and stenciled them onto the table in a grey chalk paste in order to match the spindles. After the entire project was done, I sprayed the table with a clear (non-yellowing) sealer to protect the stencil, paint, and surfaces. I am so pleased with how this piece turned out and I know that it will look perfect in someone’s house or even in a beach house somewhere! 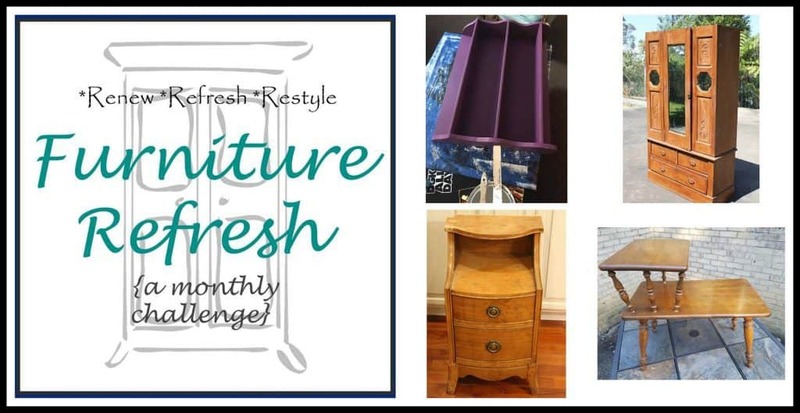 Need some more refinished furniture inspiration? 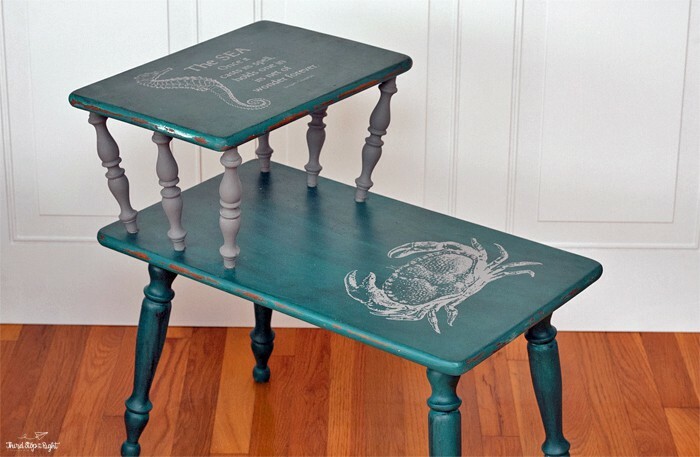 Check out these other amazing furniture projects! WOW! What a transformation Rachel! 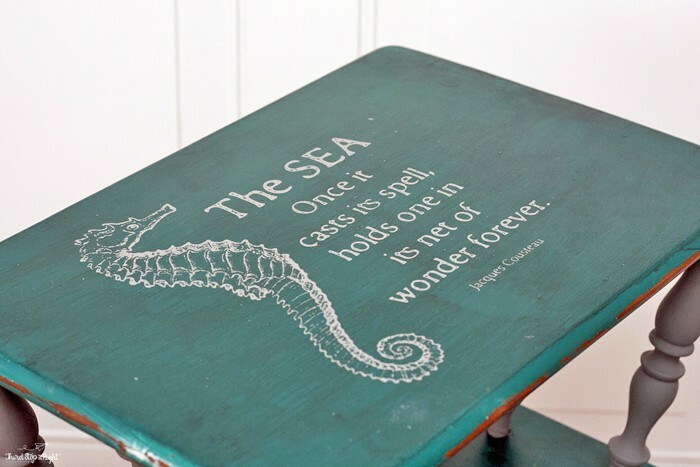 Love the nautical touches and colour! Love the new look you gave this old table. And especially love the quote you used.